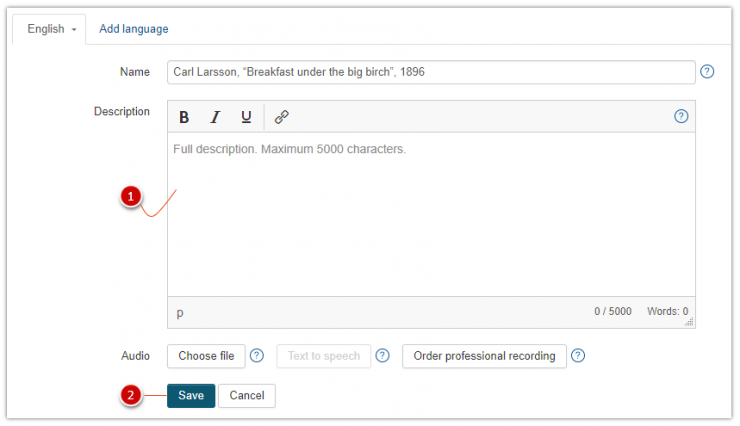 You can do the voice-over for your tour right in the CMS. 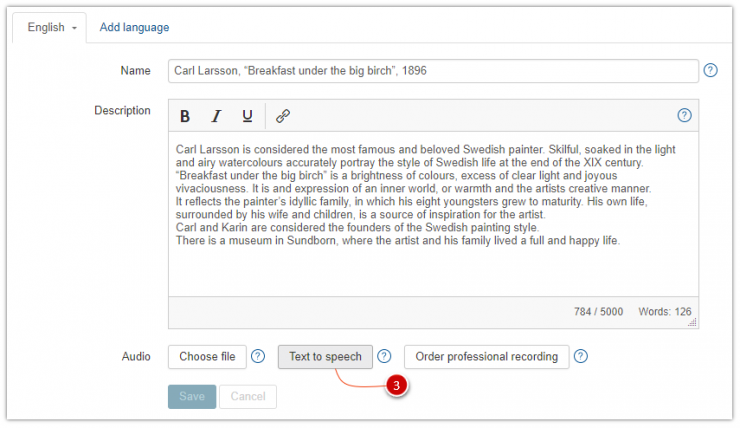 We strongly recommend to use Text to speech only for testing. Published audio guides must have genuine Voice Over. It is a computer synthesized voice which will automatically vocalize the text you typed in. This feature is perfect to get a quick demo of your tour and to test your tour, for instance the length of your stories etc. Then click «Text to Speech» 3 to start the conversion process. Then you need to select the source 5 that will be used to generate the audio. Your can choose the Description, or the Editors Notes. By using Editor’s Notes you can differentiate the audio narrative from the on screen information. This is highly recommended. Click the “Record” 6 button and after a few seconds the audio recording will be automatically added to the description of the tourist attraction or exhibit item.